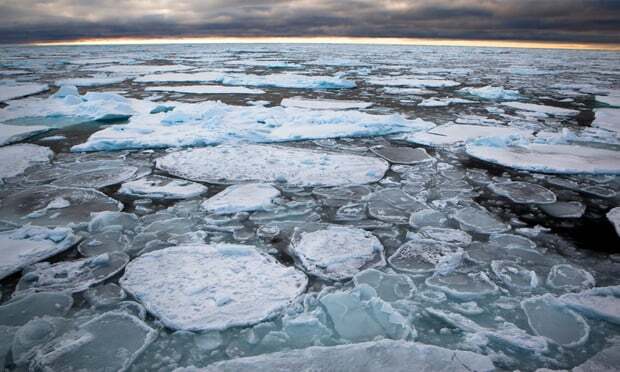 Another worrying first for a warming Earth as some of the oldest sea ice in the Arctic starts to break up, as told in today’s top story. And it turns out I’ve been calling the climate feedback loops, that are being discovered every week or so, the wrong thing. I’ve said they’re negative (and they are in terms of effect) but actually they’re positive, in that they increase, or amplify, the change happening. An article today talks about this and why they’re so bad (not negative). More on politics in Australia and the USA, if you can stand it. Looks like Australia is in for another bumpy ride at the expense of any real progress in policy. Better news for Australia as Holden looks to employ 150 engineers to accelerate their spot in the electric vehicle race, which gives hope that the market economy is seeing the signals to which the pollies are blinded. Bags of seeds. Photo courtesy Guilherme Rodrigues. If your colleague or child does well and you give her or him positive feedback, that’s good. If climate change causes a cascade of impacts that result in additional climate change — which scientists call “positive feedback” — that’s bad, and maybe catastrophic. I started researching the bad kind of positive feedback in the 1980s and eventually learned to refer to “amplifying feedbacks” to avoid confusion. A few other scientists have also written about the risk that amplifying feedbacks could make climate change much worse than most climate models predict, but these worries had not received much attention until recently. In June this year, scientists from the University of Tasmania and the University of Technology Sydney published research showing that over the past decade the biomass of large fish in Australian waters has declined by more than a third. The results may have jarred with government claims of Australian fisheries being among the most sustainable in the world, but they closely matched official figures showing a 32 per cent decline in Australian fishery catches in the same period. The declines were sharpest in species targeted for fishing and areas in which fishing is permitted, but even populations of species not exploited by fishing declined across the same period. INDONESIA – A battle to save the world’s most endangered great ape has intensified as conservationists lodge a lawsuit and collect over a million signatures against a planned hydroelectric plant in Sumatra, Indonesia. At the heart of the issue is the future of the Tapanuli orangutan (Pongo tapanuliensis), a species that was only described last year but is already teetering on the brink of extinction. Its habitat in the Batang Toru ecosystem continues to be fragmented by infrastructure projects, including a planned $1.6 billion dam and hydroelectric power plant underwritten by Chinese state loans. BRAZIL – The first time that somebody mentioned collecting seeds to Seu João Motta, he thought it was the stupidest idea he’d ever heard. Living in the middle of Atlantic Forest, he had always seen seeds as something so abundant that they had to be worthless. 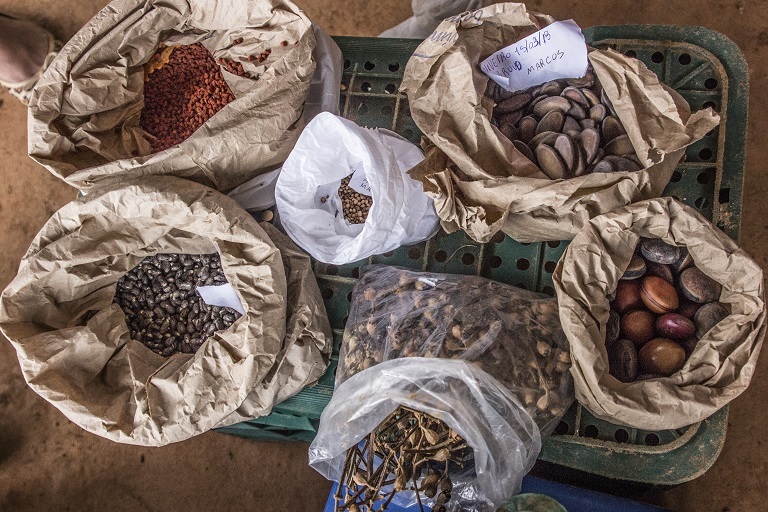 Last year he started to think differently… Now, the quilombos of Nhunguara, Maria Rosa and Andé Lopes are establishing a network to collect and sell native seeds from the Vale do Ribeira region, some 250 kilometers (155 miles) from the city of São Paulo. The Vale do Ribeira Seed Network aims to create a new source of income for the communities while providing an alternative way of reforesting degraded lands elsewhere. INDONESIA – Paper giants APP and APRIL might have defaulted on their zero-deforestation commitments, a new report by a coalition of NGOs says. The report alleges APP and APRIL purchased wood cut down from natural forest in Indonesian Borneo. Both companies have denied the allegations, with APRIL saying the wood was sourced from non-high conservation value (HCV) areas, and APP saying it received the wood after an administrative lapse and had since quarantined the shipment. USA – On the rocky beach at Little Girls Point County Park in Michigan’s Upper Peninsula, the heavy wash of Lake Superior seeking the shore rolls stones the size of softballs back and forth in the surf.The power and immensity of the lake seems immutable. If there is anything in nature that will withstand the passing of time, this inland ocean would seem a likely candidate. Peter Annin knows better. The author of The Great Lakes Water Wars, which examines the fight to protect the lakes from an encroaching and increasingly water-starved world, has stood in the dry ocean bed of Central Asia’s Aral Sea and reflected upon the fragility of such seemingly infinite resources. The EU carbon market is finding its mojo. The cost of a pollution permit has more than tripled in a year, in response to market reforms. At around €18 a tonne ($21), the carbon price is starting to give gas plants an edge over inefficient coal plants. Fuel switching has cut emissions by around 20 million tonnes (MT) already this year, according to Thomson Reuters. Australia’s business leaders have slammed the Coalition for being “destructive” by abandoning its National Energy Guarantee (NEG) and a pledge to legislate a 26 per cent emissions cut in the electricity sector. The lack of a clear energy policy, and six changes of Prime Minister, over the past decade has sapped business confidence, according to the head of the Australian Industry Group (Ai Group). NEW ZEALAND – Local councils have backed a move by the Government to reduce the mountain of rubbish going to landfills and force companies to take more responsibility for their waste… It will also consider making companies take more responsibility for the waste their industry creates, from production to disposal. Tyres and lithium batteries will be first. AUSTRALIA – The Trump administration’s withdrawal from the Paris climate agreement was greeted with dismay around the world. Less well known, but probably just as damaging to emissions reductions, was freezing standards for carbon dioxide emissions from cars in July. The erosion of US federal climate policy has made action from individual states far more important. As Australia grapples with yet another failure to implement a national emissions policy, what can we learn from America? And is it time for Australian states to reach out directly to like-minded states in other parts of the world to tackle global climate issues? USA – The Trump administration has put forward a greenhouse gas emissions plan that could boost output from coal-fired power plants rather than push them towards closure and result in as many as 1,400 premature deaths each year. Amid outcry from activists and a promise to sue from the attorney general of New York, one prominent environmentalist called the plan “a disaster for public health and the climate”. USA – War is peace. Freedom is slavery. Ignorance is strength. Truth isn’t truth. Rudy Giuliani’s latest bon mot is a reminder, if anyone needed it, that calling the Trump administration Orwellian isn’t hyperbole, it’s just a statement of fact. Like the ruling party in “1984,” Donald Trump operates on the principle that truth — whether it involves inauguration crowd sizes, immigrant crime or economic performance — is what he says it is. And that truth can change at a moment’s notice. AUSTRALIA – Enova launched a new crowdfunding campaign this week to help the community-owned energy retail company based in Byron Bay expand into other parts of the country… The plan is to streamline operations and reduce costs so that the company can offer a “sharper” and more affordable product. “People want to buy green and support their local communities, but ultimately cost can hold them back,” Mr Pfieffer said. The company is also hoping to raise $3 million in capital through the crowdfunding campaign launched this week. UK – A tidal energy project has smashed previous records for power generation over a 12 month period. The tidal stream device has been in continuous operation off the choppy waters of Scotland’s north-east coast, around the Orkney Islands. During that time it has generated 3 gigawatt hours of electricity, enough to meet the annual demand of 830 UK households, or 25 per cent of demand on the islands. The offshore wind industry could soon have some good news for dolphins and other animals affected by the installation of offshore wind turbine foundations. The Carbon Trust Offshore Wind Accelerator and offshore wind engineering company Fistuca announced yesterday that they had successfully completed the first test of a new quieter system for installing offshore wind foundations, in an effort to minimise disturbance for sea life. AUSTRALIA – Penrith in Western Sydney is feeling the heat of climate change and the urban heat island effect. But Penrith City Council is already reducing climate change impacts and driving down the carbon emissions that contribute to global warming. The black soldier fly Hermetia illucens already numbers millions in Britain, but if you meet one in the wild it will have escaped. It is of the newest and most productive creatures farmed in these islands. So far it is being kept in controlled conditions so that its larvae can be fed to a large variety of pets – reptiles and birds, but mostly fish.